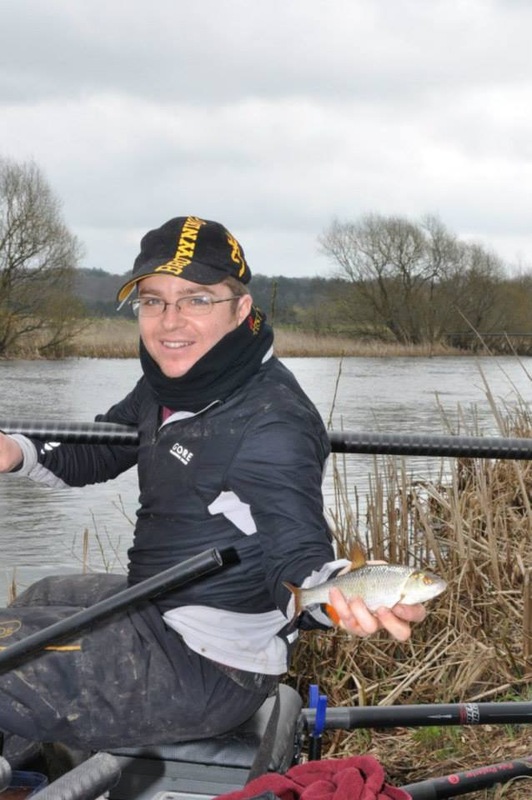 In the first of an ongoing series we speak with Environment Agency staff about their angling experience. First up is Kye Jerrom. Kye has worked for the EA for 15 years and been an angler for 27. Kye works as technical specialist in the Fisheries, Biodiversity and Geomorphology team, based in Brampton. As a lad my parents were always supportive of my fishing. I think they realised that not only did I get a lot from the sport, but it meant I wasn’t out wasting time with cans of spray paint, or worse. When I was about 13 I joined my local angling club, Brampton Angling Society, and I started match fishing. That’s when my fishing really started. I almost exclusively match fish these days for a top flight team, Browning Hotrods, so the fishing I do is very involved. I think I spend more time preparing than I do actually fishing. I fish at least once per week, but may spend a whole month of weekends at a venue practicing for a big event. Sometimes I find myself wondering why I spent 3 days tying hooks and rigs to catch one perch or worse; blank, but on the days it goes right, it’s the best feeling. I’ve seen some amazing sights; huge fish, strange fish, amazing wildlife – I watched pike eat a coot, an angler lifted off the bank with his box and into the river by a mini tornado, and many happy faces. I have covered most roles in fisheries during my career, from fish surveys, and incident management to rod licence enforcement and river restoration. It’s amazing how technical fisheries is, but also how important it is to the Environment Agency. When my fisheries career started the last thing I wanted to do, having caught and measured thousands of fish during the week, was go fishing at the weekend. Now I have a better balance and it’s great to add the anglers’ perspective to my work, from understanding what anglers actually want, to understanding the industry, the venues and the people behind them. I now also advise on technical fisheries elements, this might include fisheries conservation, furthering fisheries science or influencing other parts of the business to think about fish and fishing. It’s very difficult to please everyone, but I feel that if you want to make a change, the best place to be is at the table. There isn’t much to dislike about fishing, but I would like to see more anglers being proactive about their sport and the fish they are fishing for. It’s everyone’s responsibility to try to improve fisheries. Too many anglers think that good fishing is a right, and are too keen to avoid a venue if it deteriorates rather than supporting efforts to improve it. I am privileged to work with such a talented, hardworking and passionate fisheries team – most of which are anglers. We work with a vast number of external partners including River Trust, Canal and River Trust, Angling Trust, local angling clubs, landowners and individuals, ensuring that we deliver the biggest bang for your buck!